The National Hockey League is widely considered to be the best ice hockey league in the world, currently consisting of 7 teams from Canada and 23 teams from the United States. The NHL naturally attracts highly skilled players from all over the world, and games are full of action for spectators to enjoy. Book one of our national hockey league hotels and make your day that little bit more special! The Honda Center is located in Anaheim, California. Opening its doors on 19 June 1993, the first event held here was a Barry Manilow sell out concert. This venue is home to the NHL Anaheim Ducks and was also home to the NLL Anaheim Storm, until they folded n 2005. Formerly known as Glendale Arena at Westgate until 2007 when it was renamed Jobing.com Aren, it has been home to NHL Arizona Coyotes since 2003 (renamed from Phoenix Coyotes in 2014) when the venue was constructed. Since opening in 1995 TD Garden has hosted concerts, sporting events and family shows. It's resident sports teams are the NHL's Boston Bruins and the NBA's Boston Celtics. Buffalo's premier entertainment facility the First Niagara Center is the largest indoor arena in Western New York. Since 1996 it has been the home to the Buffalo Sabres (NHL) and the Buffalo Bandits (NLL). Located on the Stampede Grounds in Downtown Calgary, the Scotiabank Saddledome opened it's doors back in 1983. It is home to the NHL Calgary Flames, WHL Calgary Hitmen and the NLL Calgary Roughnecks. 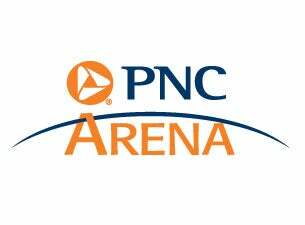 The PNC Arena can be found in Raleigh, North Carolina, it has a capacity of up to 20,000. Every year this venue hosts over 150 events, including major concerts and sports events. It is home to Carolina Hurricanes and NC State University Men's Basketball. 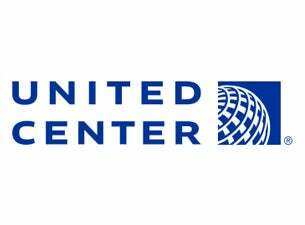 Named after its corporate sponsor, United Airlines, The United Center is located in Chicago and is home to the NHL Chicago Blackhawks and the NBA Chicago Bulls. With a maximum capacity of 21,000 the Pepsi Center is home to the Denver Nuggets, Colorado Avalanche and the Colorado Mammoth. It is a multi-purpose arena, and when not in use for sporting events the building is frequently used as a concert venue. Opening in 2000, the Nationwide Arena is a multi-purpose arena located in Columbus, Ohio. It has a 20,000 concert capacity and is home to the Columbus Blue Jacks (NHL). The American Airlines Center is located at Victory Park, one of Dallas' most vibrant urban gathering spaces. It is home to the Dallas Mavericks of the National Basketball Association and the Dallas Stars of the National Hockey League. Joe Louis Arena is the largest indoor Arena in Detroit, it stands along the banks of the Detroit River. The venue is named after boxer and former heavyweight champion Joe Louis, and is home to the NHL Detroit Red Wings. Rogers Place opened in 2016 as the new home to the Edmonton Oilers. The BB&T Center is located in a suburb of Fort Lauderdale, Florida and annually ranks among the top 10 venues in the United States. It hosts major concerts and is home to the Florida Panthers (NHL). The world famous Staples Center is located in Downtown LA, next to the Los Angeles Convention Center. It is home to four professional sports franchises, the NBA's Los Angeles Lakers and Los Angeles Clippers, the NHL's Los Angeles Kings and the WNBA's Los Angeles Sparks. Home to NHL's Minnesota Wild and NLL's Minnesota Swarm, the Xcel Energy Center is located in Saint Paul, Minnesota. It was built on the grounds of the former Saint Paul Civic Center, and opened it doors on September, 29, 2000. Formerly known as the Molson Centre until 2002, Montreal's Centre Bell is known as one of the world's busiest arenas. It is home to the NHL Eastern Conference's Montréal Canadiens , who are in the Northeast division. The Bridgestone Arena is located in Downtown Nashville, it has hosted numerous concerts, major Basketball events and is home to the National Hockey League Nashville Predators. The Prudential Center, home to the New Jersey Devils is a multi-purpose venue located in the central business area of Newark. As well as being a concert and exhibition venue, Nassau Veterans Memorial Coliseum, a former Army/Air Force base is also home to the New York Islanders. This venue can be found on Long Island, approximately 19 miles (31 km) east of New York City. Madison Square Garden a Sports, music and entertainment venue situated in Manhattan New York City, is home to NHL's New York Ranger. The New York Ranger are in the Eastern Conference, Atlantic Division. Formerly called the Corel Centre until 2006, Scotiabank Place is a multi-purpose arena located in Kanata, a suburb of Ottawa. It's tennants are the NHL Ottawa Senators, and it has also hosted the Canadian University Men's Basketball Championship. Home to the Philadelphia Flyers, the Wells Fargo Center is situated within the South Philadelphia Sports Complex. This complex also includes Citizens Bank Park, Lincoln Financial Field and Xfinity Live! Opening in 2010 the CONSOL Energy Center can be found in Uptown Pittsburg, this multi-purpose arena is home to the Pittsburgh Penguin (NHL) and Pittsburgh Power (AHL). The HP Pavilion is located in Downtown San Jose. It opened in 1993, giving major league sports a home in San Jose, it is currently home to the NHL San Jose Sharks and the AFL San Jose Sabercats. The Scottrade Center is located in the heart of Downtown St. Louis. Besides being home to the NHL St. Louis Blue, this venue hosts a range of events including concerts, family shows, and other sporting events. In January 2012 the St. Pete Times Forum was renamed the Tampa Bay Times Forum, to be in keeping with the renaming of the St. Petersburg times. This venue is home to Tampa Bay Lightning (NHL) and Tampa Bay Storm (AFL). Opening in February 1999, The Air Canada Centre is Canada's premier sports and entertainment venue. It is the home of the Toronto Maple Leafs (NHL), the Toronto Raptors (NBA), and the Toronto Rock (NLL). Rogers Arena is a premier sports and entertainment venue, located in the Downtown area of Vancouver. It was the chosen venue for ice hockey events in the 2010 Winter Olympics, and it is home to the Vancouver Canucks of the National Hockey League. The Verizon Center, formerly known as the MCI Center is a 20,000-seat multi-purpose sports and entertainment venue, located in the chinatown area of Washington, D.C. It's home to the NBA's Washington Wizards, the NHL's Washington Capitals, the NHL's Washington Capitals, the WNBA's Washington Mystics and the NCAA's Georgetown Hoyas men's basketball team. Opening in 2004 The MTS Centre, which is located in Winniipeg, Manitoba, is home to the Winnipeg Jets of the National Hockey League.